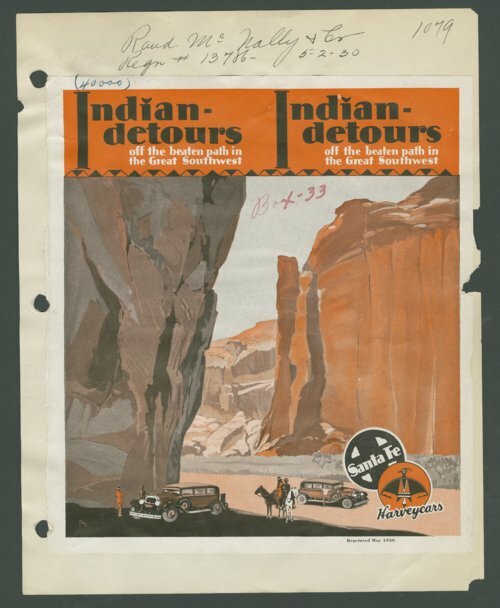 These two flyers published by the Atchison, Topeka & Santa Fe Railway Company are promoting tourism of the Great Southwest on the Santa Fe Harveycars. Apparently, the Santa Fe Railroad was promoting tourism at the Grand Canyon and Native American sites in the Southwest. They provided Harveycars, also called courier cars to transport passengers.